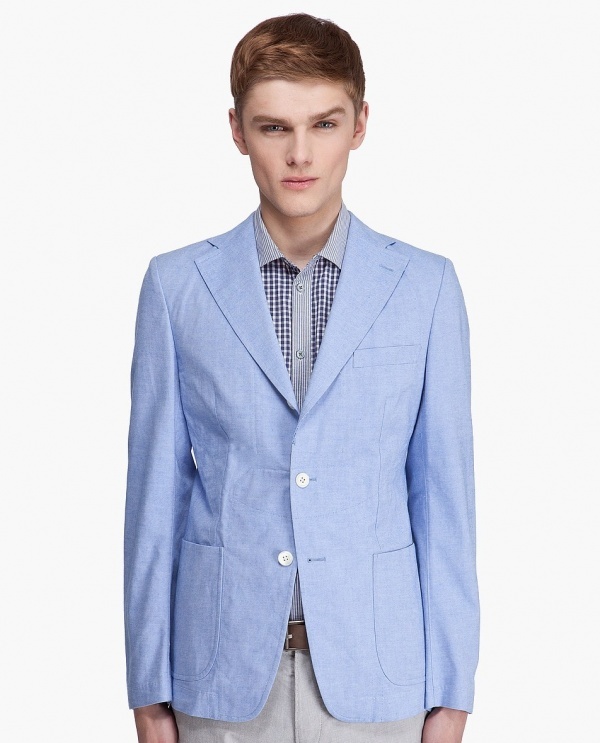 Junya Watanabe offers a lightweight jacket with this cotton oxford blazer. The single breasted blazer in blue features a notched lapel collar with buttonhole detail, lightly padded shoulders and three button front closure with distressed placket hem. Lining is plaid and stripe patchwork. Made in Japan, it’s available online. This entry was posted in Blazers, Tops and tagged Japan, Junya Watanabe. Bookmark the permalink.